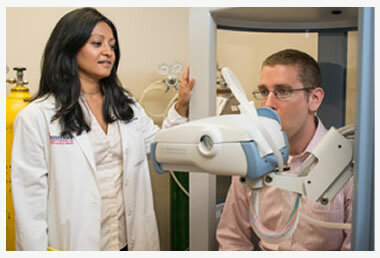 Improved treatment of asthma represents a large opportunity for MHVC to improve health outcomes and reduce inpatient (IP) and Emergency Department (ED) utilization. According to our Community Needs Assessment (CNA), over 21% of all MHVC patients with a primary asthma diagnosis have an inpatient admission or ED visit, and all of these IP/ED primary asthma diagnoses visits are potentially preventable. Further, only 81% of patients who utilized the ED or IP services in the past year for a primary diagnosis of asthma had a Primary Care Provider (PCP) visit in the last year. This highlights the gap in appropriate outpatient care for members, which may be in the form of lack of sufficient primary care providers or lack of engagement of members who are high utilizers into integrated outpatient care. First, we identified areas of high ED and IP utilization in order to target implementation to those relevant providers. Given the “hotspots” in Westchester County and the age distribution (most patients are under 40 and half of those are pediatric) that were identified in our CNA, we focused initial targeted interventions in Westchester county hospitals and the relevant primary care providers/pediatricians, and then subsequently rolled out the project to the rest of the counties. MHVC also used technology to help identify high-risk patients by using data to geo-map clusters of patients diagnosed with asthma. In order to develop additional capacity, we expanded current hours/days of services for current providers, and ramped up staffing according to our workforce plan. We are working with partners to develop strategies to both identify patients with asthma who are at high-risk and design seasonally driven, customized intervention plans for those patients to reduce ED and IP utilization.